Local beer: Does Spanish beer count? Nestled tightly within the Pyrenees is the tiny country of Andorra. Between Spain and France, Andorra is known for its duty-free shopping – perfume, tobacco, alcohol, guns, and strangely enough, tyres, are all found in abundance in this tiny country. It also has amazing snowfields. 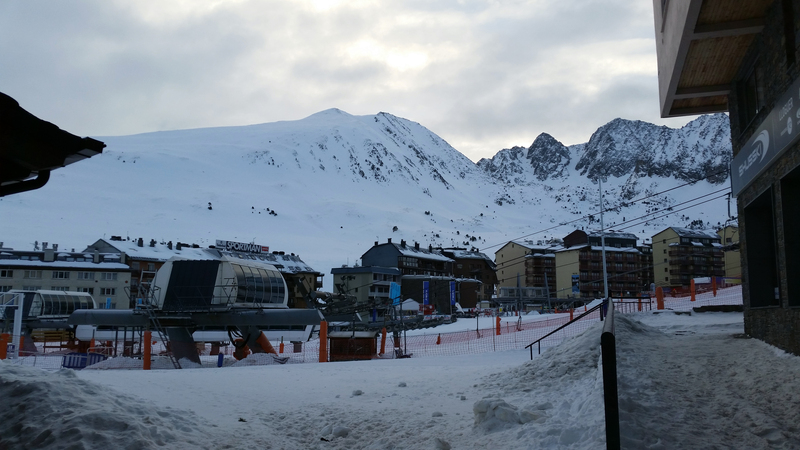 Earlier this year, P+P took a few days out to visit Andorra while we were in Spain. We travelled there via bus, creeping our way up a hidden highway through the crevices and valleys of the Pyrenees – the stark cliff faces both breathtaking and awe-inspiring all at the same time. When we first reached the base of the mountains – some two hours after first setting out – we were a little disappointed to see a distinct lack of snow. It was definitely cold, but the grass was green and there wasn’t even a millimeter of snow to be seen – had we come too late in the season? Of course, even as we trundled into Andorra la Vella, we didn’t realise that we were still at least an hour from our final destination: Pas de la Casa, the summit. Each stop our bus made, the air grew a little crisper. We passed Encamp – the lowest area of the ski resort – yet still no snow. Small patches started appearing by the next stop, small, melting puddles that didn’t give much hope. And then, all of a sudden – there it was. Blankets of snow, piling up beside the road, soft and powdery on the rooftops – and to our absolute delight, little flurries were drifting lazily in the air. The only other time M had seen snow was at Thredbo last year, at the tail end of the season – so she wasn’t prepared for this. The little town at the top of the mountains was full of tight roads, stone-and-wooden hotels backing onto the snowfields, and bright neon lights highlighting the best places to buy duty free. It was evening when we arrived, just after dusk, yet the streets were lively as people walked from pub to tapas bar. Everything was walking distance – we walked five minutes from the bus stop to our hotel, which was a mere two hundred meters from our ski hire shop – and even closer to the ski office. This made it super easy for us to grab our gear and our lift passes before our 9am snowboarding lesson with Felipe the next morning. On that first day, there was something of a blizzard so not only was it freezing, but visibility was pretty terrible. 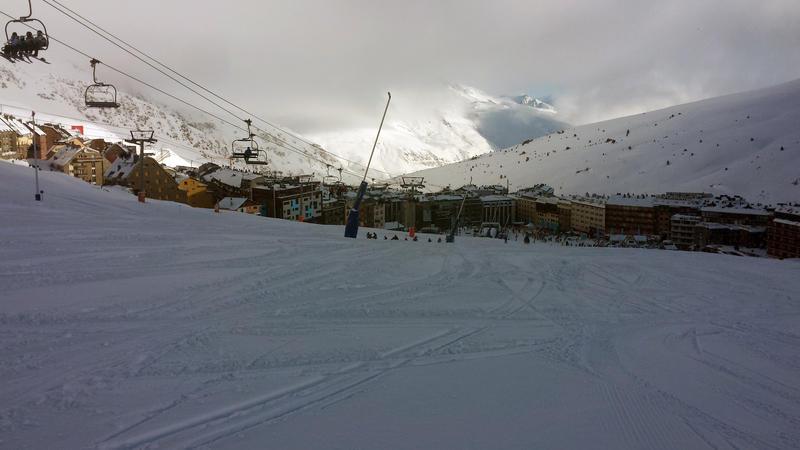 Once it cleared up, the views from the top of the lifts were absolutely stunning. Heading down the blue runs was a little hazardous, so we kept to the greens. We’re not afraid to admit hope much we’ve fallen on our arses so far (a lot! ), but we are getting better…hopefully. 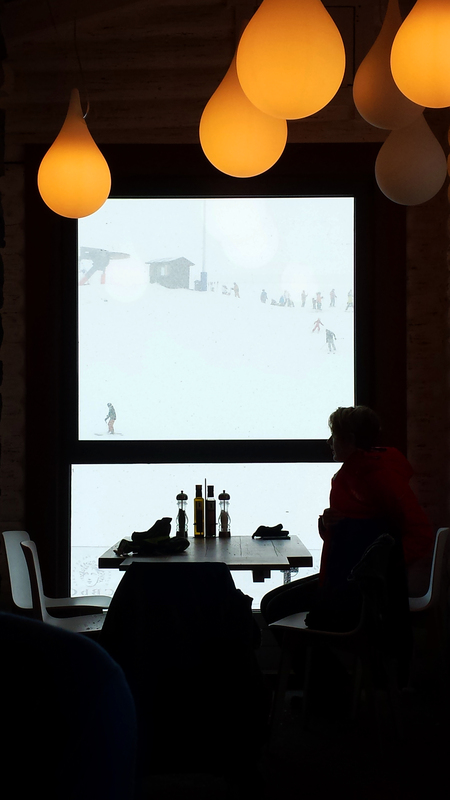 There were plenty of bars and cafes on the slopes, most of which were relatively easy to get to. They were the perfect meeting spots to catch up with friends over hot chocolate and beer. There was plenty of nightlife to keep us entertained – though M, suffering from jetlag, had to pike early. G and a work friend trawled the streets and found quite a few bars, including a quaint little tapas bar which was packed to the brim – but the food was worth the wait. Wander around for long enough and you’ll find something to suit your palate! Got that duty free shopping? Make sure you leave some space in your luggage – there is plenty of shopping to be had, even in little Pas de la Casa. Perfume, alcohol, fashion, electronics, you’ll find a bargain amongst the huge selection of shops. Despite being the 17th smallest country in the world, Andorra has plenty to offer the curious traveler, and hells yes we’d go there again if we could.